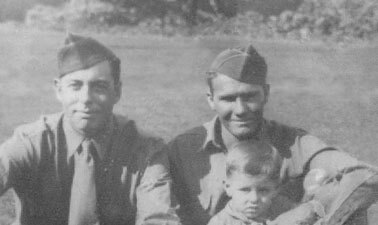 Winfred E. McAdoo and Wife. The USS Auburn. 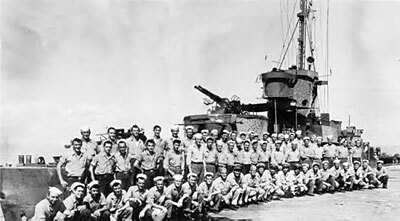 It was aboard this ship that DERR Team, along with 14 other Alamo Scouts, escorted GEN Walter Krueger and the Sixth Army Headquarters from Manila to Wakayama, Japan, from 14-25 September 1945. 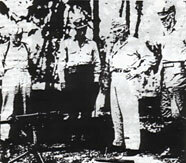 It was the last operational mission conducted by the Alamo Scouts. Landing Craft Support (LCS) ship and crew of LCS-10. This ship supported DOVE and HOBBS Team operations on and around northern Luzon from April-July 1945. PT-495. 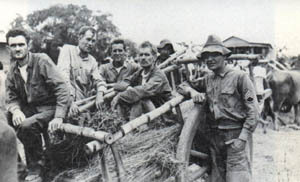 This boat supported numerous Alamo Scout operations in the Philippines during the war, including missions on Poro, Leyte, and Luzon. L-5 aircraft of the 159th Liaison Squadron which inserted, supplied, and supported Alamo Scout teams in Northern Luzon in 1945. 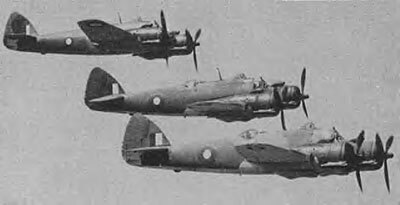 Australian Beaufighters in flight. This aircraft supported Sumner Team during its mission on Pegun Island, August 1945. 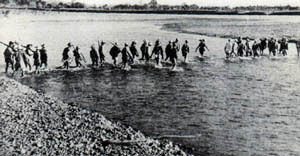 One of Captain Pajota's squadrons crosses the Pampanga River enroute to their positions at Cabu Bridge. 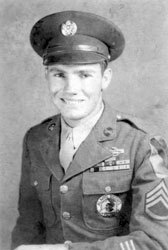 About 6 P.M. January 30, 1945. Note the wide variety of equipment and weapons. 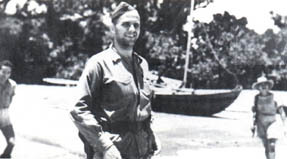 Colonel Bernard Anderson, leader of Anderson's Guerillas, prepares to meet a U.S. supply submarine. 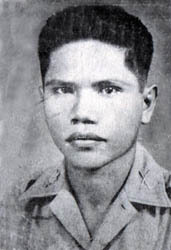 Luzon, 1944. Men of Capt. 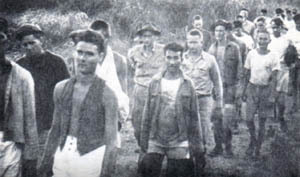 Juan Pajota's Filipino Guerillas. 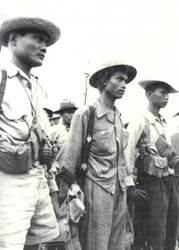 Luzon, 1945. 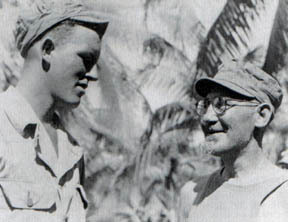 Sixth Army Ranger (left) with liberated POW following the raid on Cabanatuan. 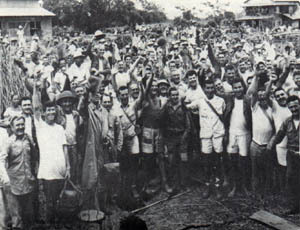 Former Cabanatuan POWs march toward freedom. Jan 31, 1945. 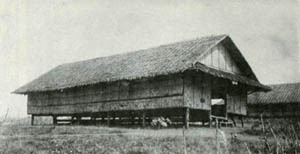 One of the bamboo and nipa huts at Cabanatuan Prison. Former Cabanatuan POWs cheer on their way to freedom. Jan 31, 1945. Ex-POWs ride on carabao carts back to Allied lines. Jan 31, 1945. 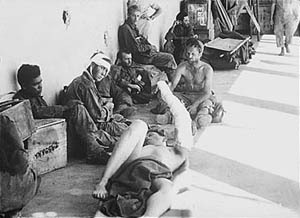 Freed Cabanatuan POWs at a makeshift hospital. Jan 31, 1945.